Maguey Liquors, a downtown stop for many shoppers in Santa Maria, was the scene of an aborted robbery attempt late on the evening of October 14th when Aldo Gonzalez, 22, discovered that his threats of violence with a wooden baseball bat weren’t taken all that seriously by his prospective victims, one of whom was 21-year-old Veronica Garcia. 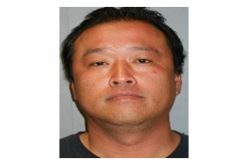 According to Santa Maria Police Department spokesman Sgt. 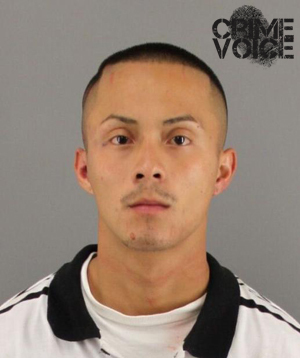 Jesus Valle, pursuant to a 911 Emergency call summoning police to the scene, officers arrived to find Gonzalez detained and under the physical control of a male and female store clerk. “The suspect charged into the store, covering his face with his shirt, and jumped the counter,” Valle reported to the media. “When he demanded money and reached into the cash register, the clerks grabbed him,” he said. 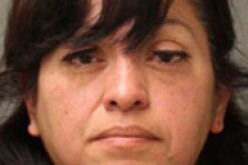 As Gonzalez struggled and became more violent, the two store clerks met him with equal resistance and subdued him in order to detain him until the police finally arrived on scene. Gonzalez’ gang affiliation was made apparent because the name of his gang was inscribed on the bat itself. No injuries to the clerks were reported or observed, but Gonzalez was transported to Marian Regional Medical Center for treatment of multiple cranial contusions. 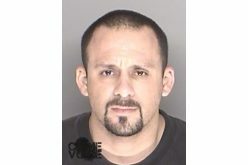 After his medical condition was stabilized, Gonzales was then booked into the Santa Barbara County Sheriff’s Santa Maria Substation on charges of armed robbery with a gang enhancement. Child Care or Child Torture?